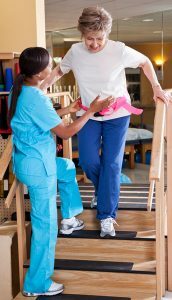 Rehabilitation strategies often involve specific exercises to stretch and strengthen muscles as well as to improve posture, balance, and endurance. 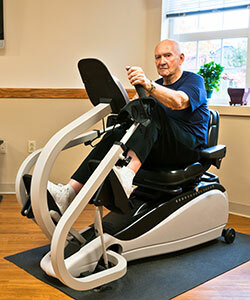 Patients build strength and endurance through individualized programs on our NuStep Recumbent Cross Trainer. 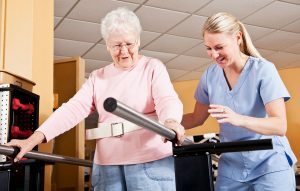 Our licensed Physical Therapists maximize your independence by developing / improving your overall strength, balance and physical function through mobility training. Your one on one physical therapy sessions will focus on the large muscle groups of your body and take place in our State of the Art Rehabilitative Gymnasium.